distance from the earth ~ (3 x (10 exponent 6)) km. 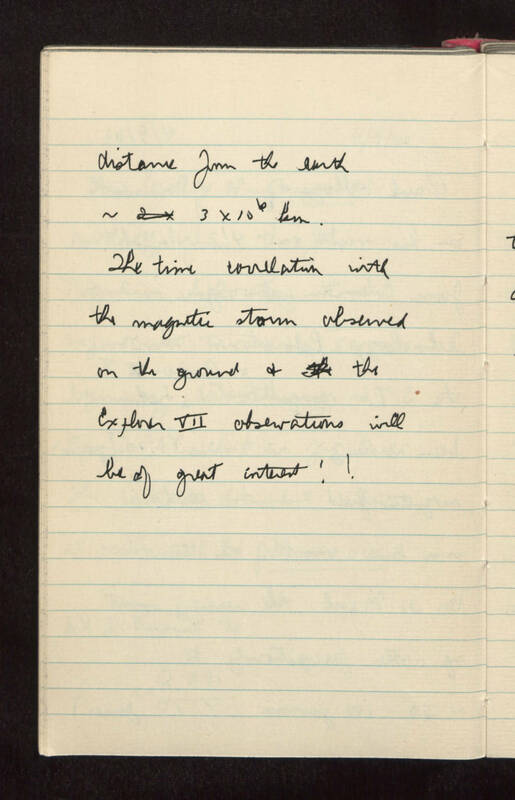 The time correlation with the magnetic storm observed on the ground and the Explorer VII observations will be of great interest ! !